Jill is Director, at ReactCX. She has worked as a mystery shopping service provider at senior level since 2000, having previously earned a strong reputation for expertise in the Customer Experience arena whilst working in varied and challenging roles for blue chip retailers. Jill has written a series of case studies on the value of mystery shopping, including some high profile return on investment work, and has had several articles published on this subject. She has also spoken at conferences throughout the world on the topic of Customer Experience. Jill has worked as a board member of MSPA Europe since 2012, and was appointed President in 2017. Stefaan Vandroogenbroeck is an expert in the field of Mystery Shopping and Customer Service Relations. During his early career, he successfully created and managed three different contact centers in Belgium and the Netherlands. During the last 8 years he has established himself as an expert in the creation and ongoing management of Mystery Shopping and Market Research projects. He has also qualified as a trainer/coach during this time. As a member of the MSPA European Board, Stefaan continues to work with expertise and passion as European Director for Education & Accreditation. Yvonne is Director Mystery Shopping at Globis GmbH in Germany, a company that helps companies to improve their customer experience. Yvonne has over 25 years of experience in Market Research. After her studies in sociology, she made detours in Online Research and as a trainer for Statistical Analysis. Since 2002 her work focusses in the area of mystery shopping and she has held management positions at leading mystery shopping providers since then. Yvonne acquired special expertise in the management of international mystery shopping projects and conducted projects in more than 60 countries globally by now. She has presented key note speeches entitled “Cultural differences in Sales” and “Direct onsite coaching” at MSPA Conferences in Singapore, Manila and Bucharest. Cristiani was appointed as Mystery Shopping Director at Intercampus, Portugal, in 2011. With over 20 years of professional experience, Cristiani has worked in diverse areas, such as logistics, insurance, banking and metallurgical industry. Originally from Brazil, Cristiani has been living in Europe since 2001, working in the fields of Marketing Research, Mystery Shopping and Customer Experience Management. With an education background in management, Cristiani also has training in Entrepreneurship, Communication and Public Relations. Cristiani contributes frequently to various publications and is a frequent speaker in national and international conferences, lecturing on topics such as Mystery Shopping, Marketing Research, Customer Experience Management, Human Resources and Corporate Communication. Cristiani joined MSPA Europe as a Director in 2007, became Vice President in 2009, President in 2010/2011 and is currently a Director and a Trainer for the Association. In her free time, Cristiani likes to travel with her husband and two small daughters. Cristiani is also engaged with other non-profit assocations, such as APODEMO (Portuguese Marketing Research Providers Association) and Toastmasters International. Abdel Wahab is currently founder and associate director of C&O Marketing. He has 20 years of experience in market research and mystery shopping. After completing a Masters in Marketing of Retail at Business School, he worked as a Marketing Senior Consultant with the USAID. Since 1994, he has worked as associate director of C&O Marketing. Within C&O Marketing, he is in charge of marketing surveys, elaboration of marketing strategy especially in retail and franchises and in mystery shopping activities. He is also responsible for international studies and research throughout Europe, Africa and Middle East. Abdel used to collaborate with a newspaper as a columnist for 5 years. Regarding, the associative life, Mr.Chaoui has been a representative of ESOMAR in Maghreb for 6 years. Luis is a graduate in Hotel Management and founded Pentaudis in 1998, having previously worked in Management positions in Hotels & Tourism and in Retail, in Portugal, Germany and England. His work experience was gained working for Accor, Sheraton and Lidl. Currently Luis heads a team of 31 dedicated professionals that are focused on helping their clients improving their customer experiences. Pentaudis is split into two Business Units – Mystery Shopping and Market Research & Data Analytics – and offers within these units various management tools, that are used in line with the client’s specific goals. In the most recent client satisfaction survey Pentaudis achieved a satisfaction rate of 92% and a recommendation rate of 100%. Luis is very involved with the internal and external clients and one of the areas he is responsible for delivering results is Innovation. In his free time Luis likes to spend time with family & friends and to practice sports, specially Bootcamp, and reading, reading, reading! Born abroad, lived abroad, worked abroad… thinking internationally seems to be in Renik’s DNA. Having a solid educational marketing & sales background, experience with deploying direct market intelligence instruments in international environments and managing European accounts while never losing focus on local needs, Renik has built up a strong focus on international relations and opportunities over the years. After being part of a large market research company for seven years he made the switch from quantitative data to captioning experiences and joined Store Support, market leader in mystery guest research in the Netherlands. When not increasing customer experience with the team, Renik enjoys travelling, photography, sushi and discovering new gadgets. He also has a slight addiction when it comes to watching TV series. 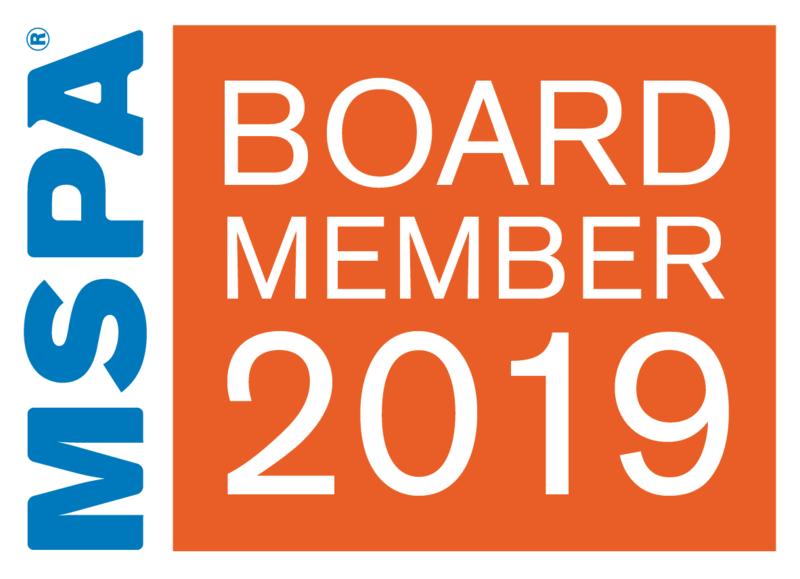 As a member of the MSPA European Board, Renik will focus on membership. Ian Jeffrey is the managing director of Helion Market Research in Africa. He has many years of specialized and international experience, including holding different regional and global leadership roles within the Mystery Shopping and Customer Experience domains at both Ipsos and Synovate. Most recently he held the role of Global Operations Head Mystery Shopping at Ipsos. He is considered a global mystery shopping thought leader, with extensive experience of working across Africa along with managing global, multi-country mystery shopping and retail auditing programmes. He has a Masters degree in Social Anthropology and later completed a Management Advancement Programme (which provides credits towards a Masters of Business Administration.) He was a PhD candidate. Ian is married with two children. He enjoys playing golf, is passionate about music, excellent food and going on safaris in Africa. After completing her degree in Social Anthropology, Rena joined Rumbelows Thorn Head Office as a Graduate Trainee, completing a Masters Degree in Politics and Government in the evenings. Rena moved to Dixons Retail as a Trainee Buyer, just at the commencement of their period of exponential growth. Dixons provided a fascinating insight into an enormously successful retail organisation. It was a thrilling environment to work in, and much was learnt about teambuilding from their successful approach of the buying and marketing teams working in unison. Rena left Dixons as a Buyer once she had children, and decided to train as a TOEFL teacher. She focussed on the business and commercial English skills, and met many European and Japanese businesspeople who were keen to learn English, and discuss their comparisons of business experiences in the UK and overseas. Rena’s working experiences and the belief that Customer Service was an often forgotten vital ingredient in business, led to the establishment of Storecheckers Mystery Shopping, set up with Jeff Caplan in 1989. Since its formation Storecheckers has become a respected player in the field of Mystery Shopping, Market Research & Training, improving customer satisfaction and client success rates. Rena’s moto is that life is to be loved and laughter is the best medicine. She loves spending time with family and friends, travelling anywhere but especially on long train journeys and exciting destinations such as Siberia, Mongolia and Albania, and also ogling at Bruce Springsteen’s gyrations. Václav works as Country Manager at Market Vision Czech Republic. Market Vision is a research agency that closely focuses on Mystery Shopping, Customer and Competitive Intelligence. Their motto: "We transform information into business. We help our clients to better know their market and to improve their relationship with their customers in order to increase their sales figures." He is a graduate economist. His passion for research first appeared during his studies at the university, when he began to devote himself to large-scale domestic and international projects in the field of competitive telecommunication intelligence, working mainly for T-Mobile. In the area of ? ?Mystery Shopping, Václav has been specializing in automotive and telecommunication sector, where he acquired extensive knowledge. His great interest, in favor of the maximum satisfaction of clients, is, in particular, to fully utilize the potential of audio or video recordings, especially for subsequent individual training or coaching of employees. Another area that he is constantly developing for his clients is the use of Mystery Shopping for price, competitive and benchmark sector analysis. Václav occasionally publishes and lectures in specialized periodicals on the collection of customer feedback and competition monitoring in the Czech Republic. Václav successfully participated in the launch of one of the first start-ups in the area of ?? "self-assessment schemes" in the Czech Republic called Ohodnot.cz. Václav has one daughter. He likes hiking, cycling, running and traveling. Founder of MSPA Europe (2001) and Better Business World Wide (1995). Veronica has been the President for MSPA Europe and MSPA Global Board, and is now a member or MSPA Global Advisory Committee. Better Business World Wide is a specialist in developing and coordinating global mystery shopping projects. Better Business can report from the moment of truth in real time, in local language, worldwide. Better Business unique reports are efficient and concise enabling employees and managers at all levels within the organization to understand them. Veronica has written several books about mystery shopping, service and leadership for the industry, for managers, and for the employees that will be evaluated by mystery shoppers. The books are currently available in 20 languages. Veronica is the founder of SSQ Award, the Scandinavian Service & Quality Award which is a quality program for Hotels and Conference Venues, accredited under the European Hospitality Quality scheme by HOTREC. Veronica is also the founder of The Smiling Report which annually since 2004 has aggregated mystery shopping data about Smiling, Greeting, and Add-on Sales per country and industry. So far, 69 mystery shopping companies have joined the report. Alain joined MSPA Europe in 2005 and has always been actively involved in Ethics, Guidelines and Quality. He had more than 20 years of experience in Market Research of all kinds when he founded SATISTEME, a Mystery Shopping company in Paris in 1994. His vision of Mystery Shopping as a Management Tool ensured the company was a great success. The company was bought by an international MS provider in 2008. Alain took retirement at this time, but remained on the MSPA Board as Governor. In this role, he is primarily in charge of all issues relating to Ethics. In this respect he gives advice and manages the complaint process. In 2017 appointed by the MSPA Europe board as external Strategy Consultant. Nikky joined MSPA in 2004, in the role of Executive Director of MSPA Europe/Africa. Her role and remit has increased significantly over the past 14 years, and her knowledge and influence have been key to the progress made by the Association during this period of time. The level of support and expertise that Nikky is able to provide will be invaluable if the growing ambitions and objectives of MSPA Europe/Africa are to be realised.